Coghlan’s Compass Thermometer | BUDK.com - Knives & Swords At The Lowest Prices! 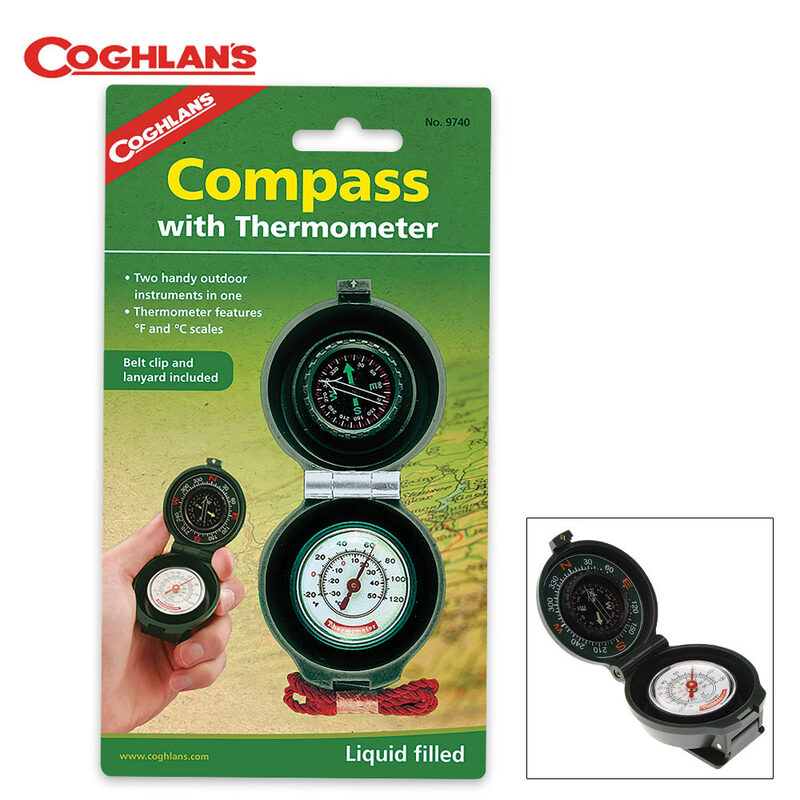 With the Coghlan’s Compass Thermometer you get two handy outdoor instruments in one compact package. The compass is liquid filled and features an easy-to-read luminous dial. The thermometer features Fahrenheit and Celsius temperature scales. You also get two carry options with the integrated belt clip and lanyard. This is a must-have for your camping or bug-out gear!